MJSA Vision Awards Call for Entries! Arien Gessner to Become the Next President of Rio Grande, Inc.
Are You Ready for a Data Breach? Quality Gold Acquires De-ani Inc.
Gemological Sciences Institute Announced the membership of Debbie Azar to the Twenty-four Karat Club of the City of New York. 24K Roses Valentineâ€™s Day Sales Expected to be Strong! Las Vegas Convention Center is the New Home for 2019 AGTA GemFairâ„¢ Las Vegas! JVC Announces 2018 Webinar Series: Information You Need! Silverâ€™s 2017 Story: How Are We Doing? LovePendants launches Custom Charm Service for Retail Jewelers with a donation of 50% of all purchases of the Texas pendant, charm or bracelet to the Hurricane Harvey Relief Fund-GHCF. Rembrandt Charms: The Best Bridal Party Program for the Retail Jeweler! QUALITY GOLD ACQUIRES STAR RING, INC.
Time is running out to pre-register for MJSA Expo! RJC CERTIFIES RDI DIAMONDS, INC. Le VianÂ® Announces the Premiere of "The Kiss"
Last Two Weeks to Enter The Centurion 2014 Emerging Designer Awards! Jewelers' Security Alliance Crime Alert - Identification Needed! JVC Appoints Sara Yood Assistant General Council - Promotes Suzan Flamm. The Gem and Jewelry Institute of Thailand (Public Organization) or GIT advises consumers to only purchase diamond and diamond jewelry with certification from leading laboratories after CIBJO, the World Jewellery Confederation, remarked at its 2017 annual congress that increasing amount of synthetic diamonds are being circulated in the market. Ms Duangkamol Jiambutr, the director of GIT revealed that due to the high popularity of diamond among consumers and its high price point, other diamond simulants including natural gems such as colorless zircon and colorless sapphire as well as synthetic diamond are being used as diamond substitutes. Moreover, the production of lab-grown diamond is currently increasing while rapid development of advanced technology has greatly reduced the production cost of synthetic diamonds. Hence, higher amounts of synthetic diamonds are sold in the market, which benefit the consumers as they will have greater choices. However, consumers must recognize whether they are purchasing natural diamonds, synthetic diamonds or diamond simulants. â€œAlthough there is a mix between natural diamonds and lab-grown diamonds, especially melee diamonds which are sold in big lots, consumers should not worry excessively because the authenticity of diamonds can be tested and identified by renowned laboratories,â€� Ms. Jiambutr said. GIT, as a national gem and jewelry institute under the supervision of the Ministry of Commerce with world-class standard gem laboratory is capable of accurately screening out synthetic diamonds from natural ones. 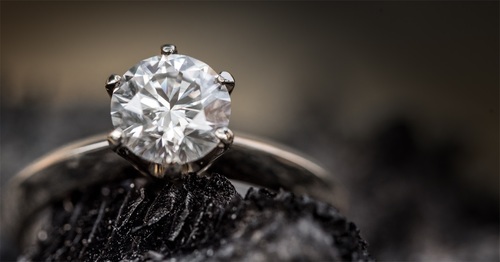 â€œGem and jewelry that are verified by GIT can increase confidence for jewelers while assuring consumers that they will receive high quality jewelry products. This will enhance the competitiveness of Thailandâ€™s gem and jewelry industry in the global market,â€� Ms. Jiembutr added. Meanwhile, GIT has carried out the Buy With Confidence (BWC) program to boost confidence for consumers and tourists who buy gem and jewelry in Thailand. GIT has granted BWC symbol to participating shops and companies selling good quality jewelry products which received GIT certification. â€œFor buyers looking to purchase quality gem and jewelry products, they will be more at ease to discover the BWC sticker displaying in front of shops qualified for this program and purchase specific pieces of jewelry which has the BWC tag. Now, more than 100 shops across Thailand have participated in this program and more than 500 participating shops are expected by the end of this year,â€� Ms. Jiembutr said.